A patient treated with Gilenya, Novartis' oral drug for multiple sclerosis, has developed a rare form of brain disorder that has been linked to rival drug Tysabri from Biogen Idec and Elan. The patient who developed the disorder, known as progressive multifocal leukoencephalopathy, had previously been treated with Tysabri (natalizumab) but it is not possible to rule out Gilenya (fingolimod) was involved, according to Novartis. Cases of PML led to the withdrawal of Tysabri from the market in 2005, but it was reintroduced in 2006 after physicians using the drug developed a greater understanding about the risk factors for developing the condition. Labelling for the drug was recently updated to suggest that patients on the drug should be tested for antibodies to the JC virus, which is known to be a major risk factor for developing PML. Gilenya is the first oral drug for MS to be approved for marketing and has been tipped as a major new product for Novartis, although its potential has been called into question lately after safety scares. Towards the end of last year, the US FDA started an assessment of Gilenya's safety after a patient died within 24 hours of receiving the first dose of the drug, officially unexplained but reportedly from a cardiovascular reaction. As well, in January the EMA said it had started its own review after 11 deaths among patients taking it and is due to deliver its findings on April 20. 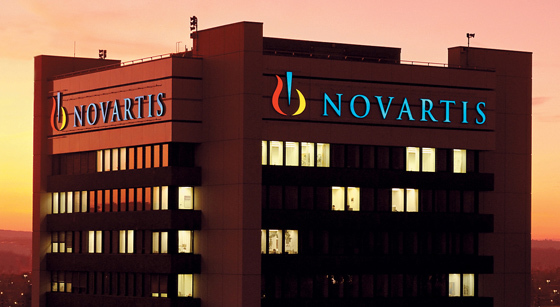 In the meantime, Novartis has advised physicians to run a continuous electrocardiogram (ECG) monitoring during the six-hour observation period following the first dose, which is already recommended on Gilenya's labelling. The drug was approved in Europe in March 2011 and is also on the market in the US and Japan and around 50 other countries worldwide. It has proved popular as an alternative to injections of beta interferon, with sales last year reaching $494m and expected to top $1bn at peak.